Social movement research has often been divided between organizational and cultural analyses of collective action. 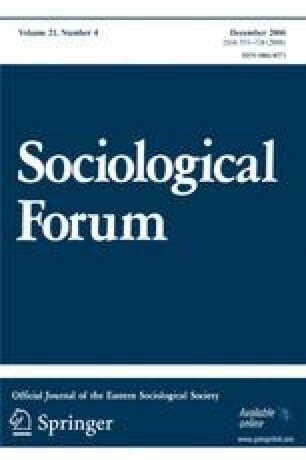 Organizationally oriented theorists have viewed indigenous organizational structure as the critical variable in the emergence of collective action. Political culture and cultural frame theorists have focused instead on the cultural frames that resonate with audiences, mobilizing them to action. But social movements cannot be the result of one or the other of these factors. An analysis of the 1989 Chinese movement illuminates the multivariate aspects of this social movement. This movement was a two-tiered movement with an organized student leadership tier and a mass audience. Enmeshed in university organizations and student networks, the student leaders relied on an organizational structure that had been emerging since the mid-1980s. This organized leadership tier employed cultural symbols and acts to mobilize mass audiences that were beyond the scope of the students' organizational linkages. The “political theater” of the organized student leaders was complemented by institutional changes that had been occurring over the decade of reform in China and a political opportunity that allowed wide coverage of the students' activities.